It is widely recognised that the Irish sea angling charter fleet has been a major contributor to tourism in the coastal communities and has also provided a healthy leisure pursuit for citizens of Ireland and the International community who visit Ireland in the pursuit of sea angling. To date the angling charter business has received little recognition at a national level so it is our wish, having formed the Irish Charter Skippers Association to give members a strong national voice needed to address issues of importance. These issues are many and varied, to name but a few, surveying, licences, fish conservation, marine safety and standards, berthage etc. The association hopes to address issues that members may have in connection with the survey of their vessel to attain the relevant licence for that vessel. We hope to work with the Department of Transport to highlight members concerns in this area and that our association will be recognised as a professional body of the highest standards. The Central Fisheries Board facilitated a meeting on March 1st 2008 under the heading "all charter skippers". The agenda was to sound out and seek the opinion of charter skippers in the republic. There was a substantial attendance of skippers from all corners of Ireland who all agreed that an Irish Charter Skippers Association should be formed. At a subsequent meeting officers and delegates were elected. 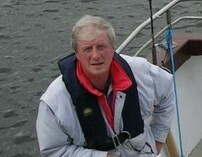 As and from the 23rd April 2008 the Irish Charter Skippers Associations constitution was ratified. Membership to the Association is open to owners/skippers whose vessel holds a valid licence as issued by the relevent government department. Membership is also available to skippers/owners who hold a valid commercial B passenger boat licence, or similarly qualified owner/skippers from other activity areas once it is understood that the function of the ICSA is in the marine sport fishing area. The benifits in becoming a member of the ICSA are vast to name but a few, a STRONG UNIFIED VOICE, cheaper insurance, keen rates for the hire liferafts etc. In conclusion I would ask all angling charter skippers to join the ICSA as we intend to further the interests of and provide a national forum for charter skippers involved in sea angling charter business in the Republic of Ireland.